In a recent article we discussed the importance of atoms and elements, but most atoms do not exist in a free state. 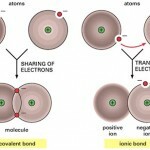 Instead, they combine with other atoms through chemical bonds forming molecules and compounds. A molecule is a group of two or more atoms from the same element held together by a chemical bond. For instance, when two oxygen atoms combine, a molecule of oxygen gas forms. When two (or more) different kinds of atoms combine, they form a compound. Compounds differ from molecules because they always contain atoms of at least two different elements. 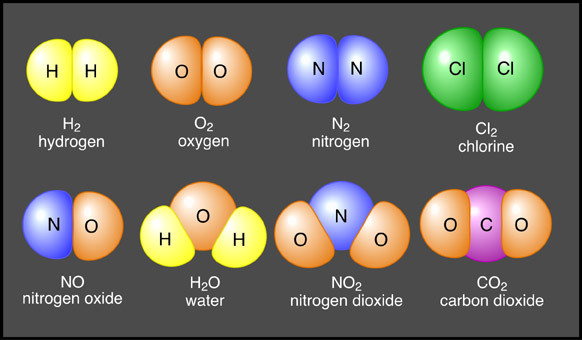 Since oxygen gas only contains one element, (oxygen) it’s considered a molecule. In contrast, water (H2O) is a compound because it contains two elements, hydrogen and oxygen. Properties of compounds are usually very different from the atoms they contain, this is an important concept to understand. For instance, water is very different from the atoms it contains (hydrogen and oxygen). Mixtures are substances composed of two or more components (physically mixed together). Most matter in nature exists in the form of mixtures. There are three main types of mixtures: solutions, colloids, and suspensions. Solutions– are homogeneous mixtures of components (either gases, liquids, or solids). Homogeneous means the mixture has the same composition throughout. For instance, if samples are taken from the mixture, they will have the same makeup and composition. Air and seawater are examples of homogeneous mixtures. The substance present in the greatest amount is called a solvent and is usually a liquid. Substances present in smaller amounts are called solutes. Solutes are usually dissolved by the solvent. Water is the human body’s main solvent. 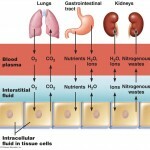 Most solutions in the body are true solutions (solutions containing gases, liquids, or solids dissolved in water). Saline solution is an example of a true solution. Concentration of solutions– True solutions are described in terms of their concentration which can be indicated in several ways. Solutions in most colleges and hospitals are described by percentage (parts per 100). When using this method, the percentage is always based on the solute and the solvent is usually water. For instance, if the solution is 100 ml and the solute is 8 ml, the solution percentage would be 8. Colloids (emulsions)– are heterogeneous mixtures (their composition differs in different areas of the mixture). Colloids have several unique properties, including the ability to undergo sol-gel transformations (to change reversibly from a fluid state to a solid gel). Jell-O is an example of a colloid that changes from a liquid to a gel when refrigerated. Sol-gel transformations underlie many important cell functions including cell division. Suspensions– are heterogeneous mixtures with large, visible solutes that tend to settle. An example of a suspension is a mixture of sand water (the sand settles to the bottom and completely separates until stirred again). No chemical bonding occurs between the components of a mixture (chemical bonding does occur between compounds). Some mixtures can be separated by physical means (straining, filtering). Compounds can only be separated by chemical means (breaking bonds). All compounds are homogeneous. In contrast, some mixtures are homogeneous, while others are heterogeneous.